Looking for original thrills and excitement? Ice Designs have the answer. Looking for a guaranteed way of gaining attention for your brand? 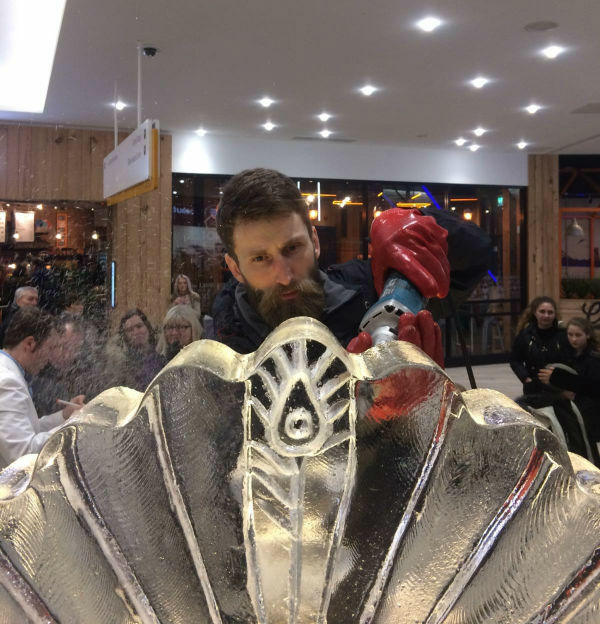 Whether field marketing in a public location, on your exhibition stand or at a corporate event, live ice carving demonstrations are guaranteed to engage and create lasting impact. 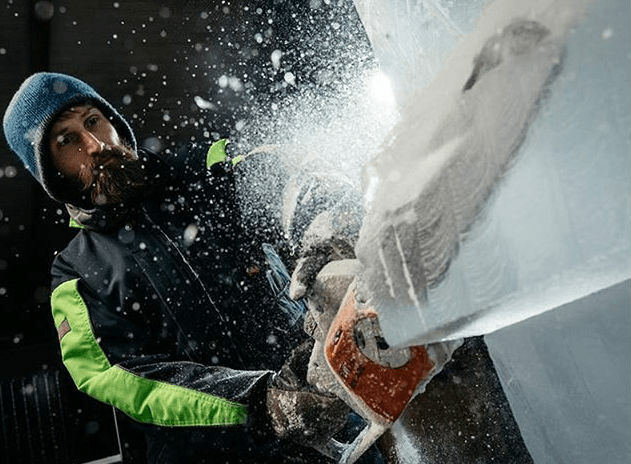 Their ice experts captivate audiences with the full drama of chainsaws, followed by an artistic carving display using chisels and hand tools. 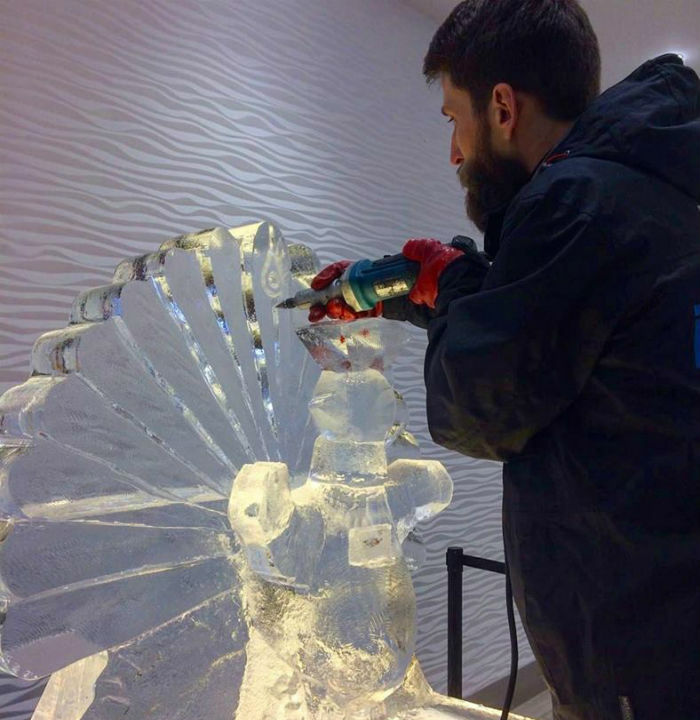 They can create anything from ice logos for corporate entertainment, to mind-blowing contemporary designs to dragons in ice for your private events – the options are endless. 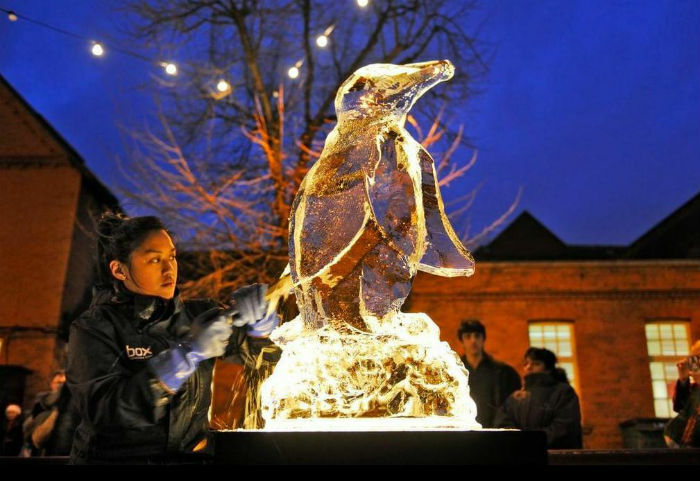 Live ice carving is the perfect solution to your entertainment needs, whether it is a corporate or private event, and can be brought to any venue or location, anywhere in the world. 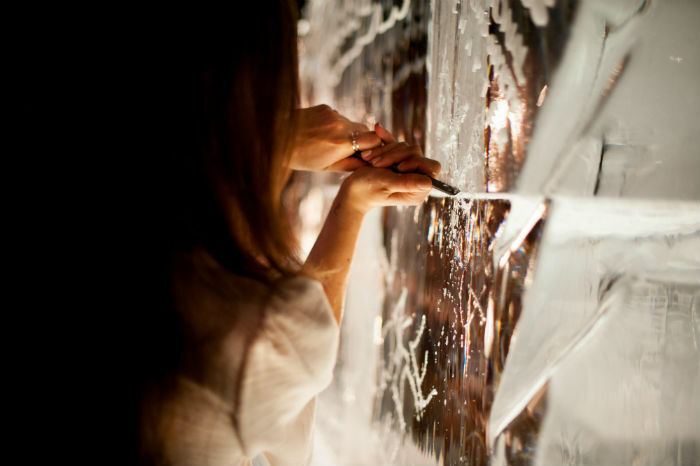 Now choreographed and available for short displays in front of your audience or the live carving can take place over the course of a whole day at a show or exhibition. 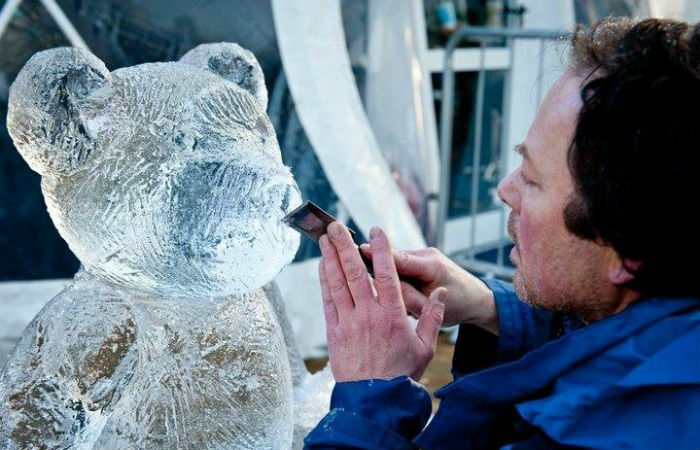 Ice Designs sculpting teams have carved live in Dubai, Barcelona , Greece , Portugal , Jersey , Ireland and throughout the UK over the last 17 years. 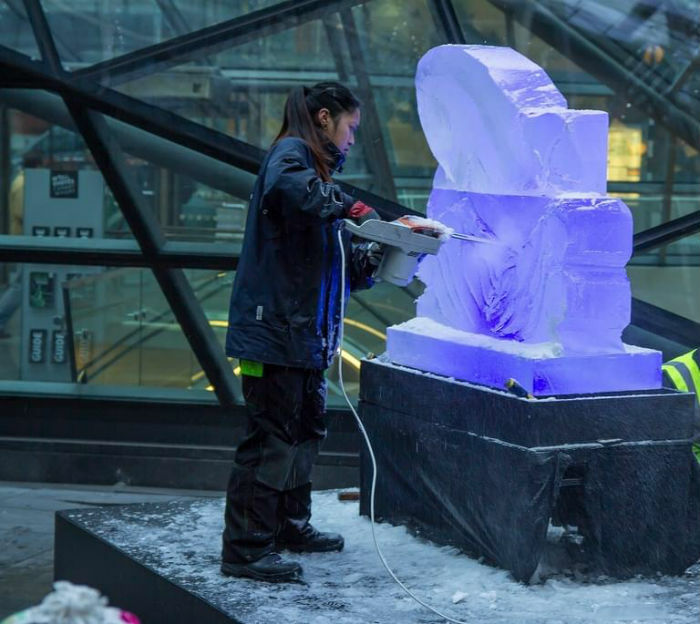 Each sculpture measures 1m x 0.5m x 0.25m and takes about 1-2 hours to create using chisels and power tools. 3 x sculptures can be created for a 4-5 hour live carving demonstration. Contraband and team took a brief from us to develop a 2 hour satellite and space themed live ice sculpture set to the theme to 2001 and other space related music – the result was everything we had hoped for, from the highly dramatic chainsaw start to the exquisite finish of a spectacular artwork – thank you! It made the evening event of our two day conference very special indeed!